Keychain option - red glitter or solid red? 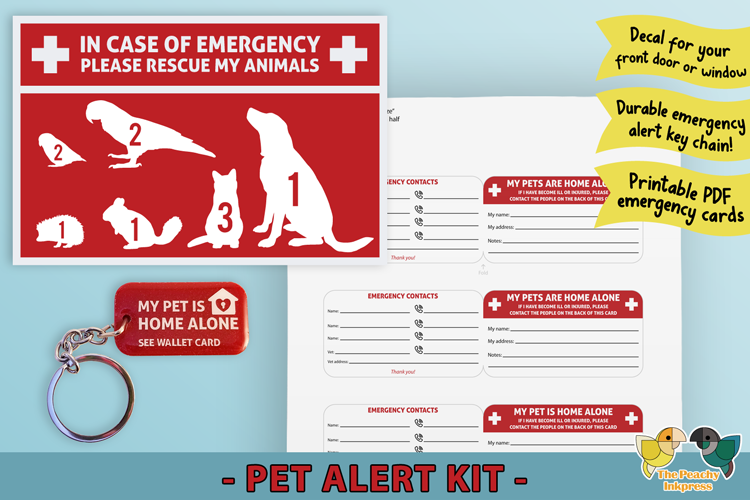 Help alert Emergency Services to rescue your pets with this inclusive kit. 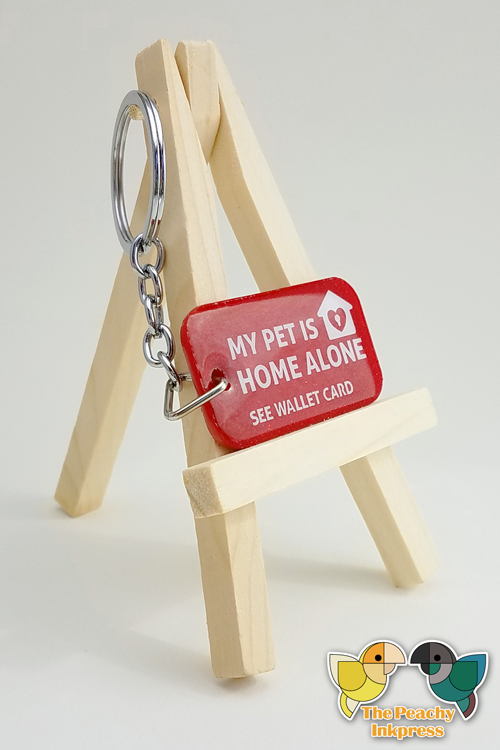 One durable emergency keychain. 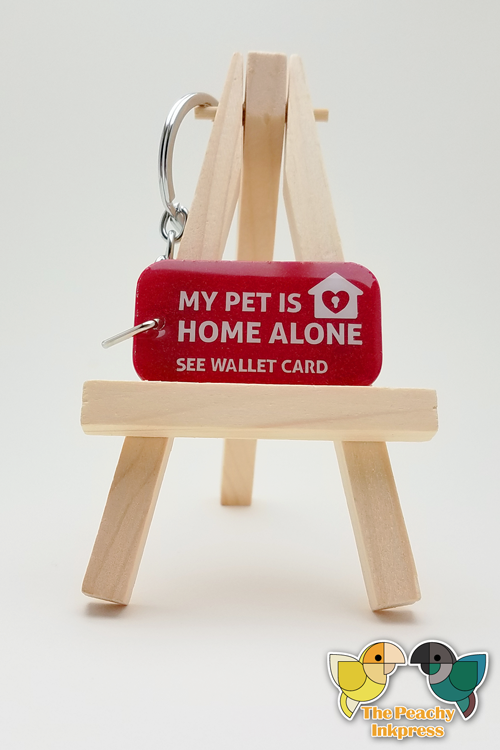 "My pet is home alone" message is on both the front and back of the keychain. 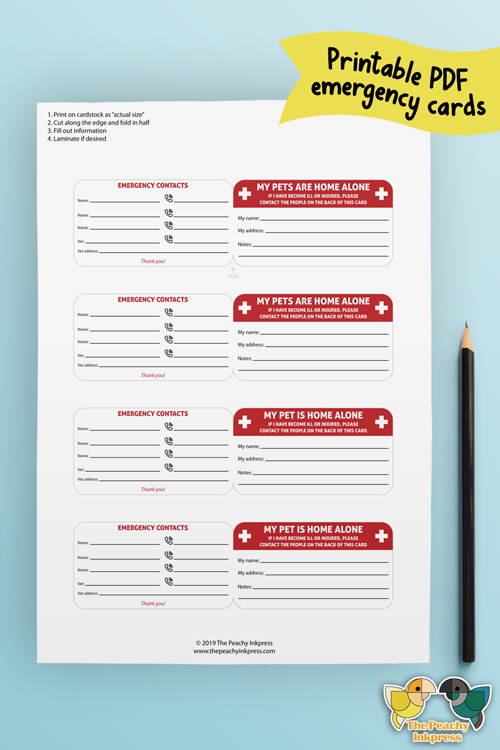 A PDF download so you can print wallet-sized emergency contact cards in the convenience of your own home. For best visibility, this decal is to be placed on the outside of your glass door or window. This vinyl is fade-proof and will withstand the weather - it will stick around for years! When you're ready to remove it, it removes cleanly and leaves no residue behind.